Climate Change Minister Paula Bennett has announced a package of changes to the Emissions Trading Scheme (ETS), to ensure New Zealand achieves its 2030 emissions reduction target. coordinate decisions on the supply settings in the ETS over a rolling five-year period. The changes will not be immediate; they will be developed and implemented in the ETS over the next few years, supported by consultation and engagement over the next 12 to 18 months. In 2015 the Government initiated a review of the ETS to ensure it was fit for purpose going into the 2020s. Last year, as a result of stage one of the review, government announced the phase out of the one-for-two measure in the ETS. The latest changes to be announced are a result of stage two of the review. While no changes will be made to free allocation in the near-term, Minister Bennett signalled future changes to the $25 price ceiling. “There will be no changes to the current level of free allocation at least until the end of 2020, and any changes would be well signalled and take into account what is happening internationally. The $25 price ceiling will also remain in place until auctioning or links with international markets are established”, she said. A focus area for further work is forestry accounting and operational improvements to reduce complexity for forestry participants and to increase the efficiency of the ETS. A package of options will be developed next year with input from the Climate Change Forestry Reference Group. The Productivity Commission Inquiry into a low emissions economy and work to progress policy options for reducing emissions funded through $4 million committed in Budget 2017 will also inform future implementation decisions about the ETS. 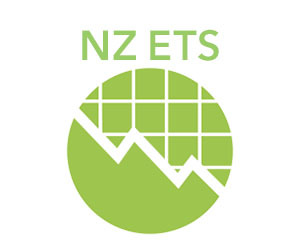 The ETS review is part of the Government’s investment in a wider programme of work to reduce emissions, and help New Zealanders adapt and build resilience to the impacts of climate change.